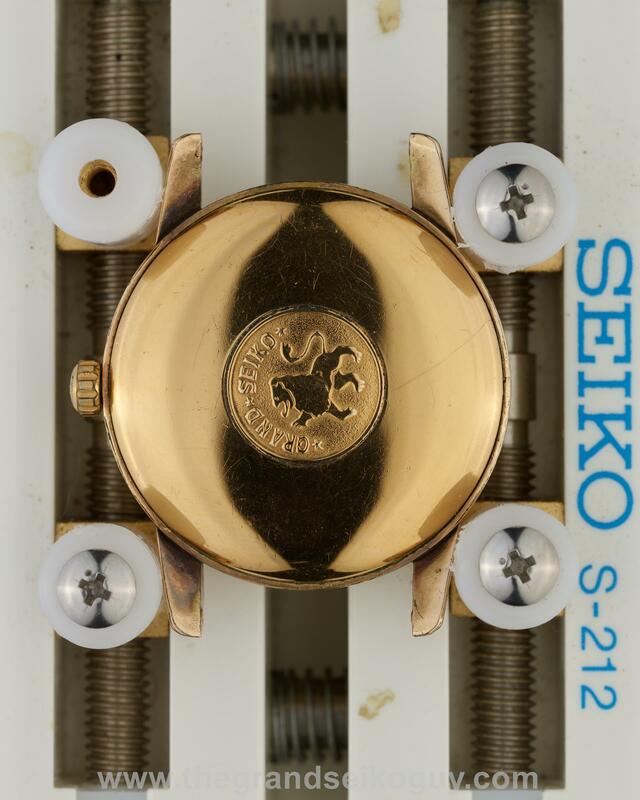 It must be said that right now, the raised logo AD dialed variant of the Grand Seiko First is a bit of a mystery, and we are not entirely certain just how rare it is. 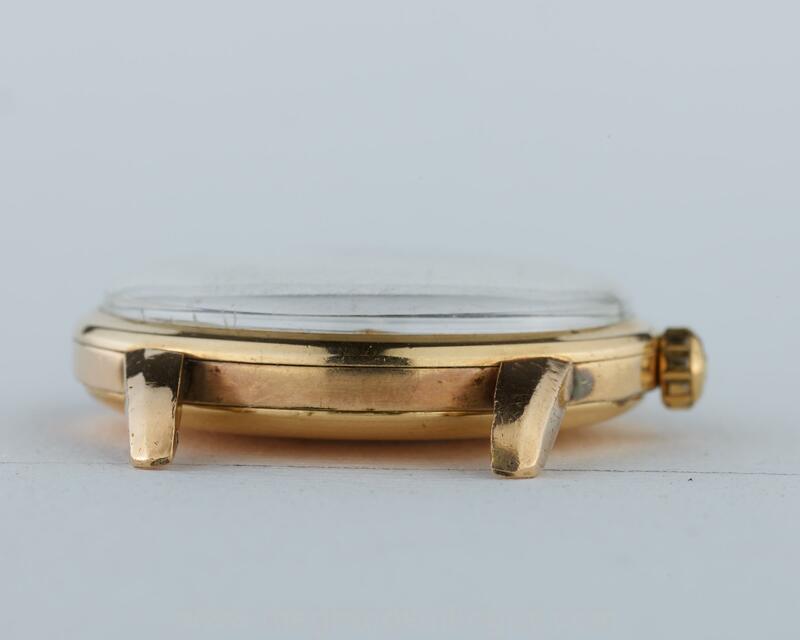 Regular raised logo dial Grand Seiko Firsts have “SD” dials, identified in two ways. 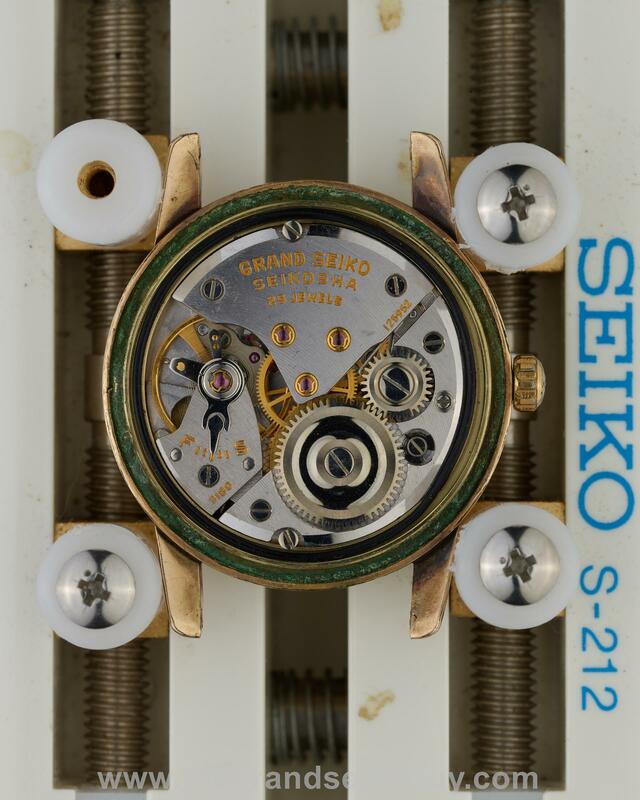 Firstly by the dial code itself which has an -SD suffix, and secondly by the compass logo that is found on the dial below the “Diashock 25 Jewels” text. 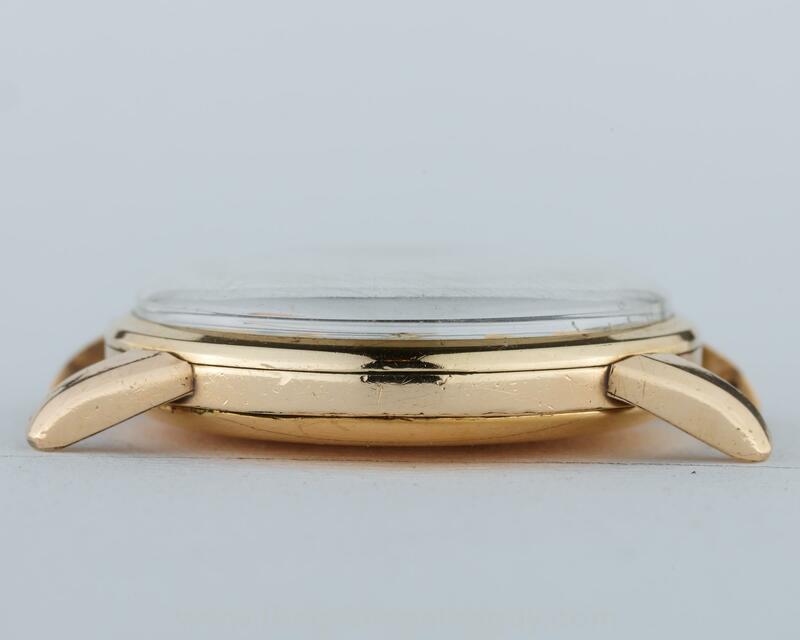 “SD” stands for “Special Dial”, and indicates that the hour markers on the dial are made from solid gold. “AD” stands for “Applied Dial”, which in a way doesn’t make a lot of sense, since the indices on both this and the SD version are applied. 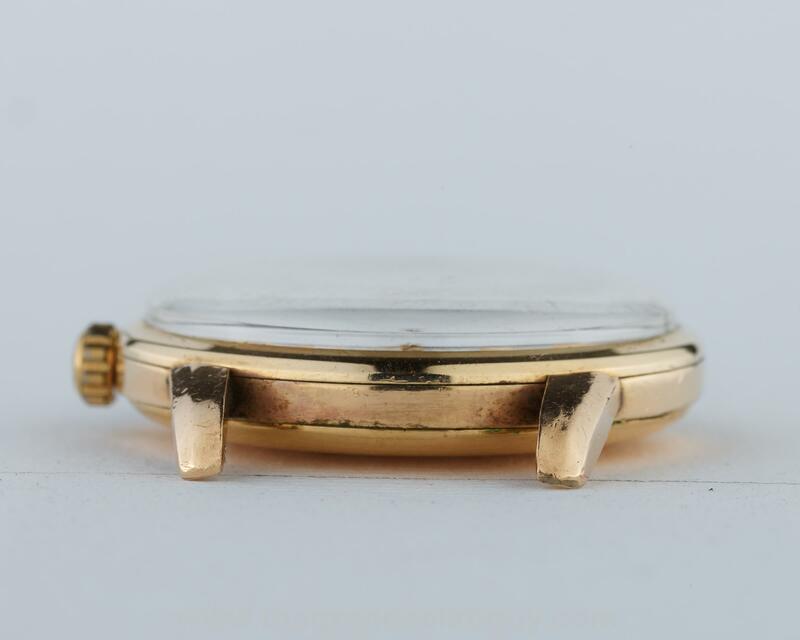 However, it is understood that when the dial is marked “AD”, it means the indices are gold plated, rather than being solid gold. 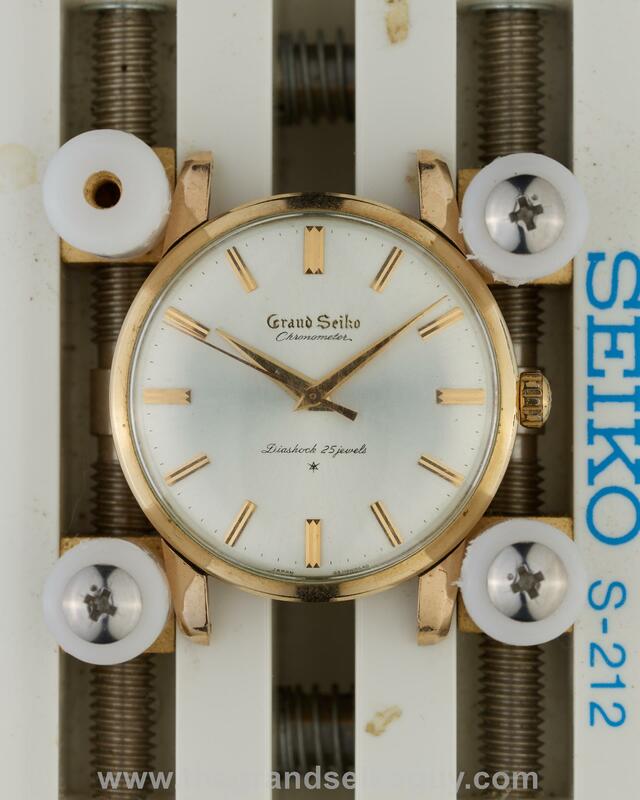 This AD dialed Grand Seiko first can be identified by three key details. Firstly, the dial code has an AD suffix. Secondly, the logo under the “Diashock 25 Jewels” text is different to that found on the SD variant. Rather than an 8 pointed compass, we find a slightly curved sided triangle, with three lines radiating out from its center – it looks like a highly stylized star. 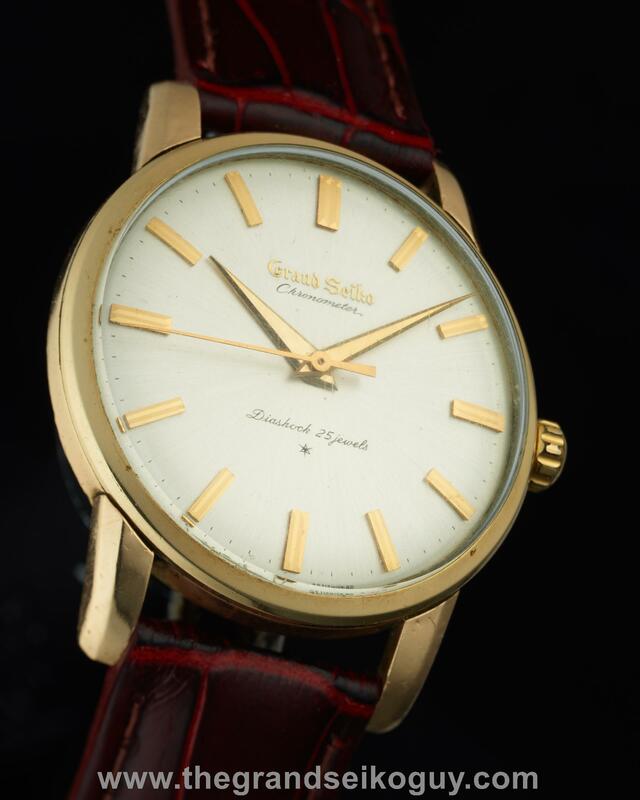 And this “star” makes absolute sense when we look at the third, and most obvious, difference between the dial on this watch, and the dial on all other Grand Seiko Firsts – this watch has a “sunburst” dial. 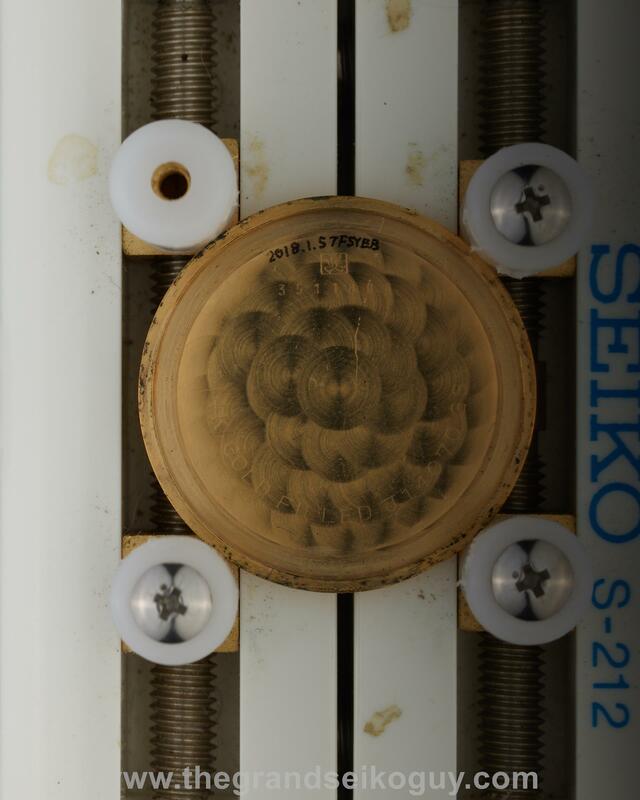 The sunburst effect plays with the light in a totally unique way compared to the other variants, and on this particular example is in fabulous condition, with very minor spotting evident, and just a small mark between the five and six o’clock hour markers. 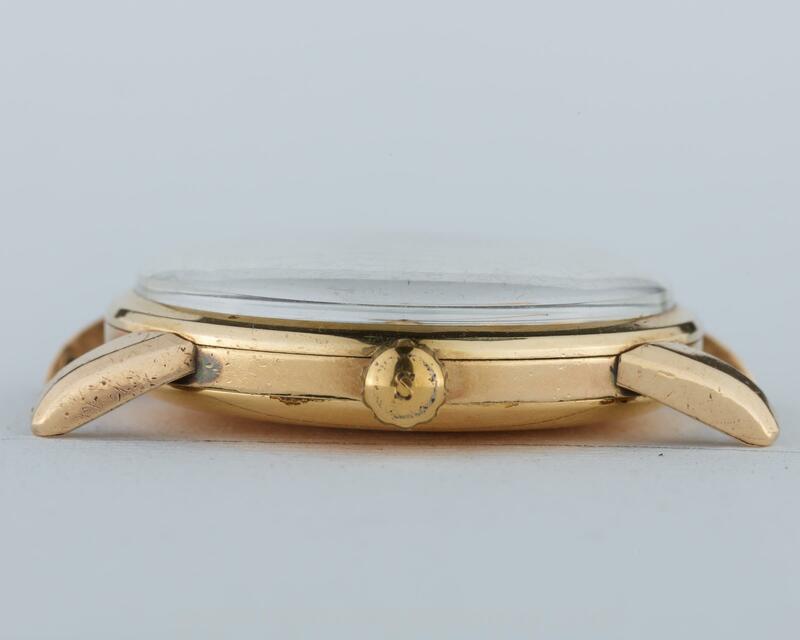 The case is in overall excellent condition and the all important lion medallion is in good condition – slightly worn over the years, but with all contours clearly retained.